How Many Terabytes Do You Manage? How many terabytes do you manage per storage administrator? Is this amount per administrator too much? Too little? Just right? When it comes to the amount of capacity you manage relative to other storage administrators, where do you stand? More than half of respondents manage 5TB or less, but a full 21% manage more than 20TB. One reader even claims to manage 500TB with a single administrator. 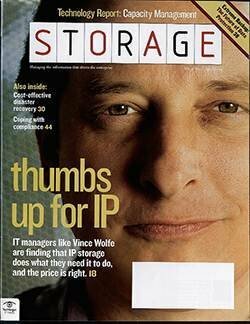 Overall, most storage managers seem fairly content with their workload. On average, 51.3% of readers think that they manage the right amount of storage. The notable exception comes--surprise, surprise--from administrators that manage 20-plus terabytes. They think that this is "too much" by a margin of 2:1.